You Are Here: Home > First Payment on Us! For a Limited Time, Westridge Buick GMC Will Make Your First Payment When You Lease a New Vehicle! Here at Westridge Buick GMC, pairing drivers with top-notch vehicles at great rates is a top priority. For the month of February, we’re offering GM Canada’s “Drive Away Without Paying” Program – meaning our customers can lease any 2016 GMC or Buick vehicle, and we’ll cover the cost of the first payment! We’re just a quick 5-minute drive from central Lloydminster via Yellowhead Highway E/SK-16 E toward 50th and Meridian Avenue. Stop by to browse our new GMC and Buick inventory and learn more about this fantastic leasing opportunity! After you’ve leased the vehicle you love, we’ll hand you the keys to your new Enclave, Sierra 3500HD, or Verano, and send you on your way! You’ll have a chance to enjoy the fantastic performance, handling, and interior conveniences of your new vehicle, while we make your first payment for you. Conveniently located in Lloydminster, Westridge Buick GMC offers one of the most extensive selections of new GMC and Buick vehicles this side of Alberta. You’ll find there’s something for just about every driver in our inventory. By taking advantage of the “Drive Away Without Paying” Program, you can snag a top-of-the-line vehicle, while also enjoying considerable savings. Regardless of whether you need a truck for light or heavy towing, an SUV that can stand up to Alberta’s harsh weather conditions, or a 5-person sedan with great fuel ratings, feel free to book a test drive, or stop by our dealership! 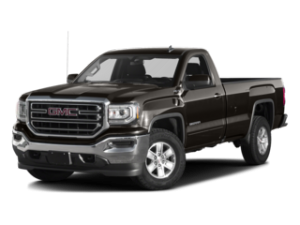 GMC Sierra Pickup Truck: This workhorse comes in 1500, 2500HD, and 3500HD configurations – each offering unique features and capacities. 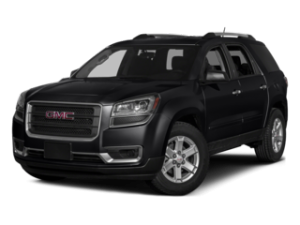 GMC Acadia SUV: Perfect for large families, the Acadia offers excessive passenger room, smooth handling, and a quiet, contented ride. 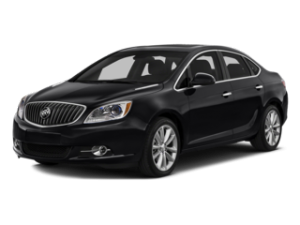 Buick Verano Sedan: Offering notable engine specs, luxurious interior amenities, and all-around classy style, the Verano stands out as a premium-brand sedan. 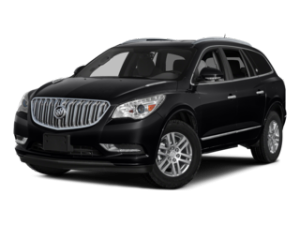 Buick Enclave SUV: The Enclave features a welcoming interior, spacious third-row seating, and eye-catching exterior styling. 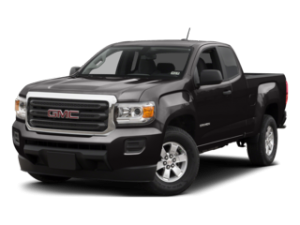 GMC Canyon Pickup Truck: The Canyon is a compact pickup that fits the bill as both an everyday family vehicle and a reliable light-duty work truck. 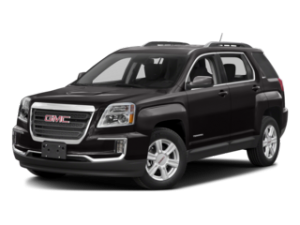 GMC Terrain SUV: Small, flexible, and sophisticated, the Terrain boasts an array of techy interior features, as well as driver-centric handling. Leasing through GM Canada’s “Drive Away Without Paying” Program ensures Lloydminster drivers cruise home in a new vehicle that’s inherently durable and fully protected. When you lease a brand-new GMC or Buick vehicle, be it a sedan, SUV, or pickup truck, you’ll enjoy the peace of mind that comes in the form of generous warranty coverage. We’ll Work With You Step-by-Step! The “Drive Away Without Paying” Program is just another example of how Westridge Buick GMC puts our customers first! From the moment you set foot on our lot, to the moment you drive away in the car of your dreams, our team will guide you through every stage of the car shopping process. Our friendly sales team will assist you with choosing a vehicle that suits your needs and driving style. In addition to making your first payment for you, our knowledgeable finance department will strive to net you fantastic lease terms and rates on the 2016 GMC or Buick you want. Take a Short Trip to Westridge Buick GMC Today! The “Drive Away Without Paying” Program will be valid at Westridge Buick GMC throughout the month of February. Contact our sales department from 9 a.m. to 6 p.m. Monday through Saturday to learn more about the program and how you can benefit. Lloydminster drivers are also encouraged to stop by our dealership at 2406 50th Avenue in Lloydminster, Alberta to check out our new GMC and Buick lineup firsthand!